Looking for things to do outdoors with the family? 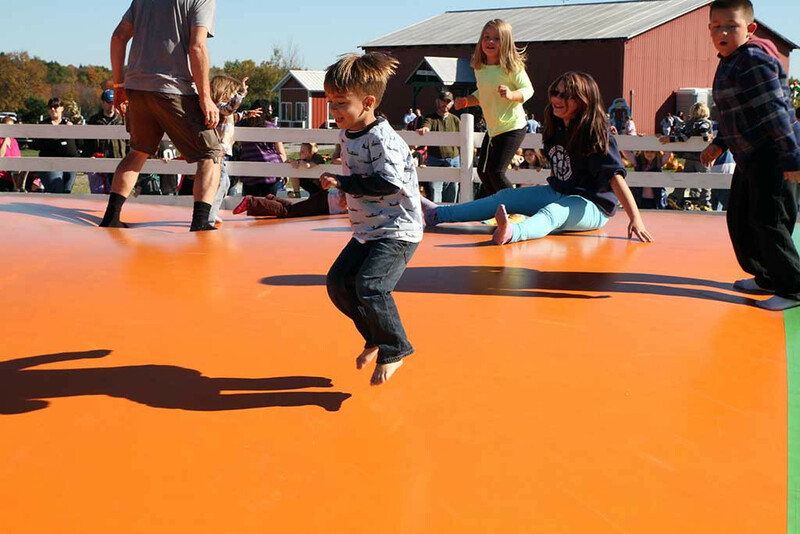 Head over to Ellms Family Farm and enjoy our Pumpkin Pad, new Apple Pad and Jumping Pillow! What kid doesn’t enjoy jumping in a bounce house or bouncy castle? 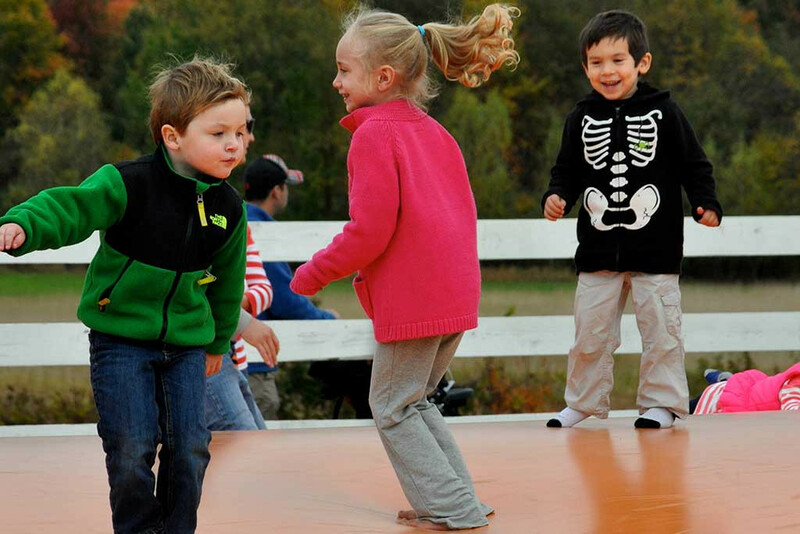 Our Jump Pads take inflatable jumping a step further with a series of flat inflatable jumping pillows in fun fall-themed shapes. Our Apple Pad and Pumpkin Pad provide a fun way for your child to get all the benefits of physical exercise. In addition, the flat jumping surface allows many children to use the pad at one time. Jump up and down or from one section to another—lots of fun! Choose from our festive Apple Pad or Pumpkin Pad for endless inflatable jumping fun. 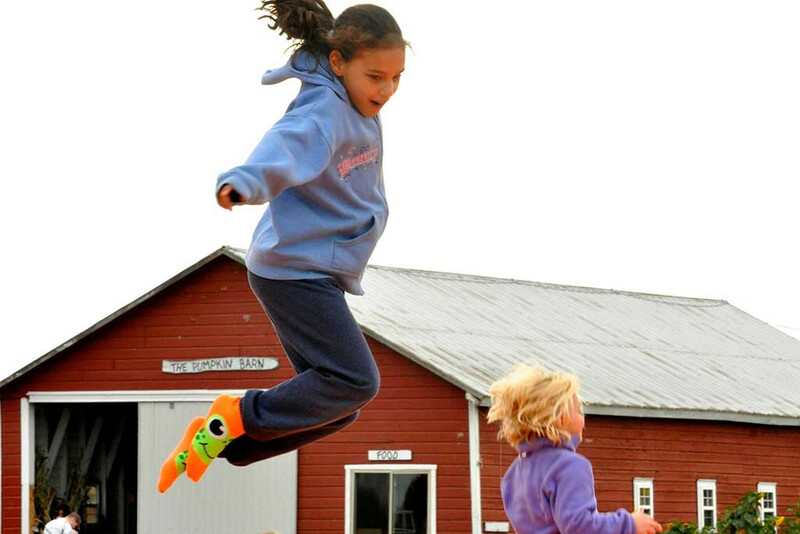 This outdoor activity at our Saratoga County farm will delight kids of all ages! Even more importantly, our pads offer a safe atmosphere for the kids to bounce around and make new friends. In addition, they promote healthy physical activity. 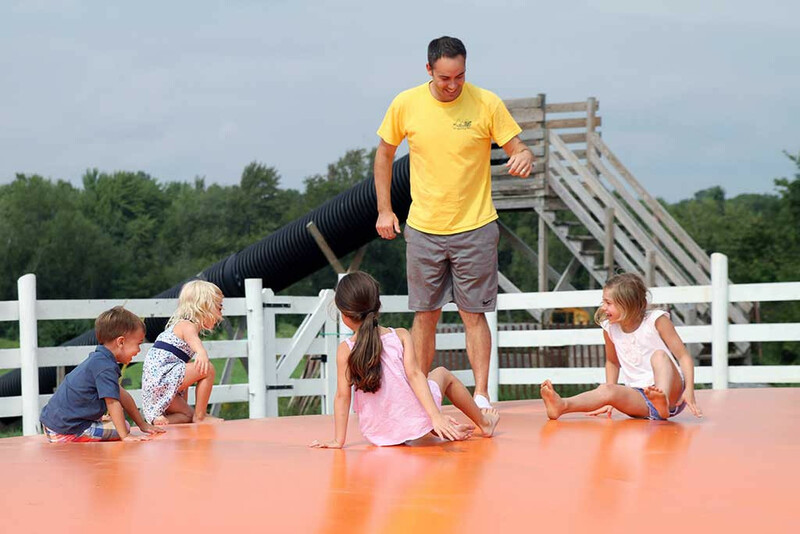 Children enjoy having jumping races from one end to the other, challenging each other to jumping competitions, and more! 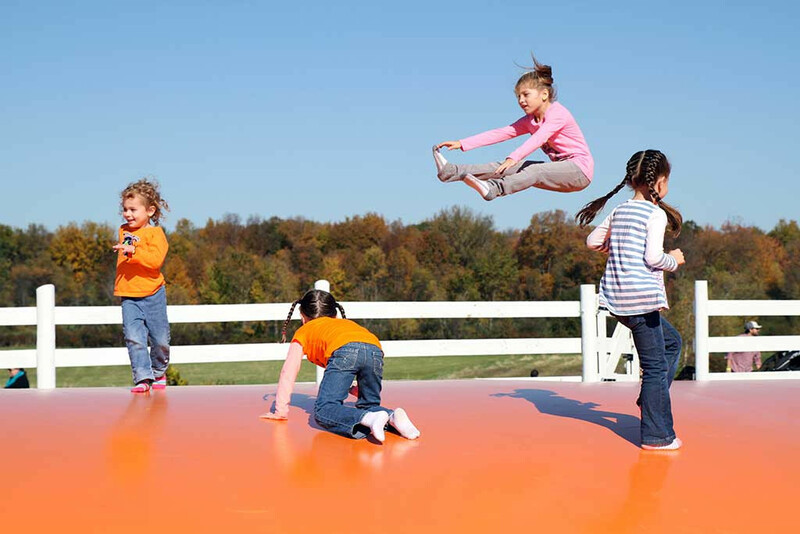 Our Jumping Pillow, Apple Pad and Pumpkin Pad are fun, safe, and family friendly! 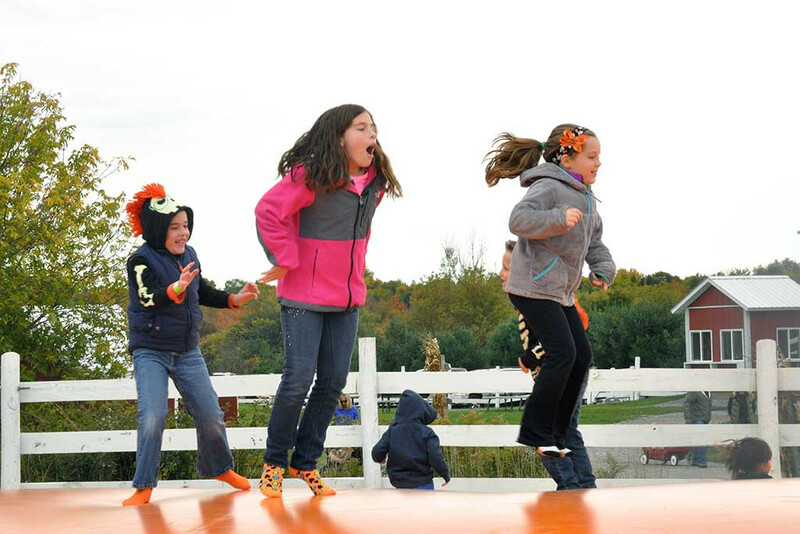 Come join in the fun and make Ellms Family Farm part of your family fun tradition in Saratoga County!